April 1, 2019 The new era name "Reiwa" was announced. The name is derived from Man'yōshū. Historical big data is a project about seamless analysis of the environment and the society from the past and the present based on various records written by humans. Old books in Edo period was written by Kuzushiji (old Japanese characters), and modern Japanese people can rarely read the characters without effort. Then, instead of humans, can AI read Kuzushiji after training? We release Character Shape dataset to the world as a training data for machine learning to tackle the grand challenge of "Kuzushiji vs. AI" with the collective power of people. On November 9, 1867, the restoration of imperial rule symbolized the end of Edo Period. 150 years have passed since then, and now is the time to revive the information space of Edo, using open data about the 260 years of Edo period, and taking advantage of the state-of-the-art technologysuch as artificial intelligence (AI). The project aims at analyzing comprehensively the collection of "Bukan" books, which is the best seller through the 200 years of Edo period, and constructing core information platform about Edo period in terms of human and geospatial information about Daimyo (lords) and Shogunate government. 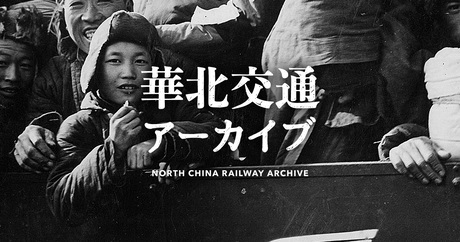 A research database on North China Railway Company by linking company's promotional stock photographs with its transportation network, and studying the activities of the company from the theme and location of photographs. Digital humanities research project about creating digital archives of cultural heritage based on collaboration between informatics and humanities. Memorygraph is a new photographic technique to create the layer of memories, and the project aims to develop the Memorygraph app to use it for field work of cultural heritage, tourism, and recovery from disasters. A project that aims at integrating geographic information science (GIS) and natural language processing (NLP) to develop a geo-tagging system that transforms text to maps automatically. The usage of IIIF (International Image Interoperability Framework) for image delivery in large-scale image databases ranging from humanities to natural sciences, with a long-term goal to contributing to international communities. Focusing on the concept of "curation," we build a next generation IIIF platform that is open and user-driven. An open-source IIIF image viewer that takes advantage of IIIF Image API and IIIF Presentation API, and proposes and implements new specifications such as Curation API, Timeline API and Cursor API. An open-source IIIF Search tool for searching curations created by IIIF Curation Viewer and creating new curations by re-editing. An open-source tool for managing curations created by IIIF Curation Viewer, etc. An open-source tool for editing curations created by IIIF Curation Viewer, etc. An open-source tool for playing curations created by IIIF Curation Viewer, etc. A flask web application for storing JSON documents; with some special functions for JSON-LD. A flask web application that crawls Activity Streams for IIIF Canvases and offers a search API. Scripts for installing IIIF Curation Platform on a Docker environment. 2018-11-30 IIIF Curation Platform was officially released.